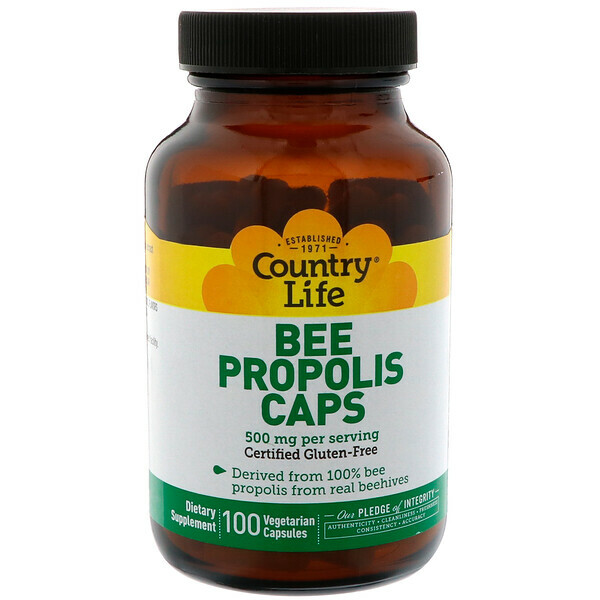 Propolis is a substance created by bees and combined with beeswax to help maintain and protect the hive. Country Life's Bee Propolis Caps are derived from 100% bee propolis extract from real beehives. 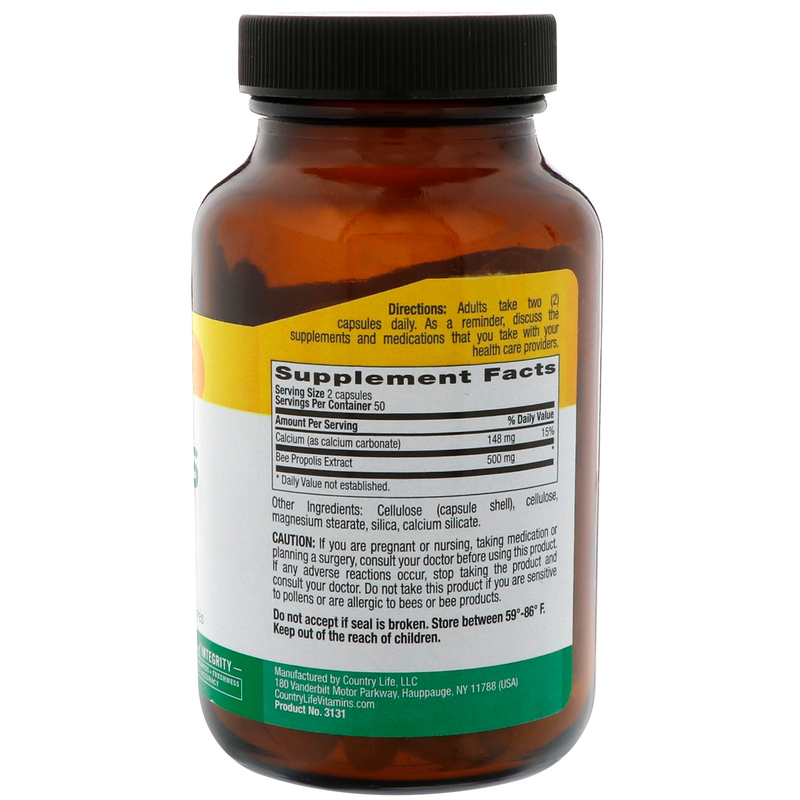 Adults take two (2) capsules daily. As a reminder, discuss the supplements and medications that you take with your health care providers. Cellulose (capsule shell), cellulose, magnesium stearate, silica, calcium silicate. Caution: If you are pregnant or nursing, taking medication or planning a surgery, consult your doctor before using this product. If any adverse reactions occur, stop taking the product and consult your doctor. 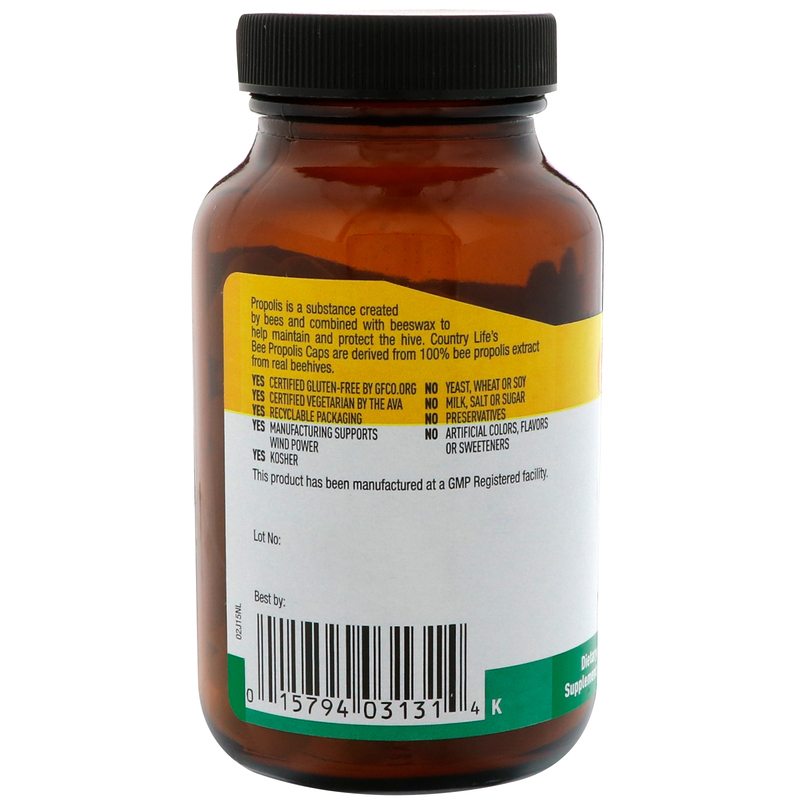 Do not take this product if you are sensitive to pollens or are allergic to bees or bee products.